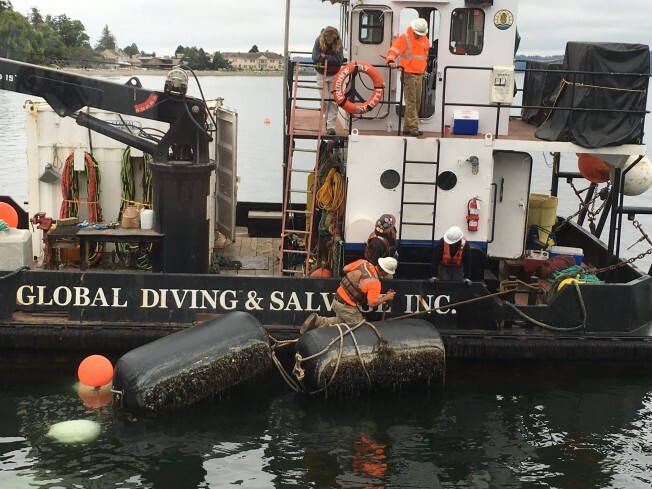 Global Tows a Humpback Whale to its Resting Place - Global Diving & Salvage, Inc. Sometimes urgent jobs send Global halfway around the world. Other times the call comes right from its own neighborhood. 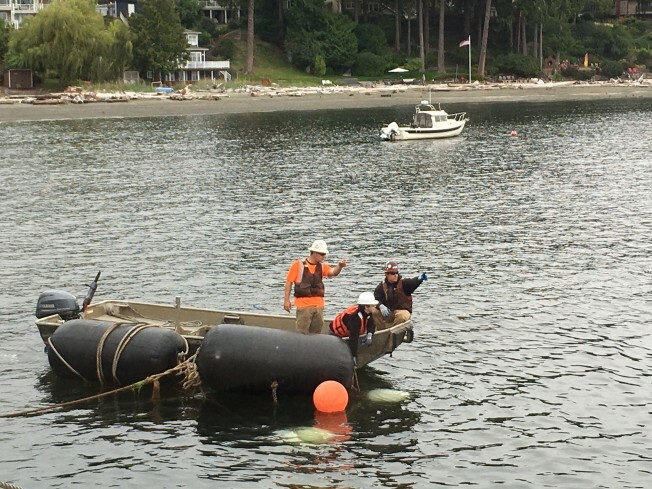 Such was the case in August of 2016 when the company was called upon to remove a humpback whale that had stranded and later died in the shallows beside the Fauntleroy ferry dock in West Seattle. 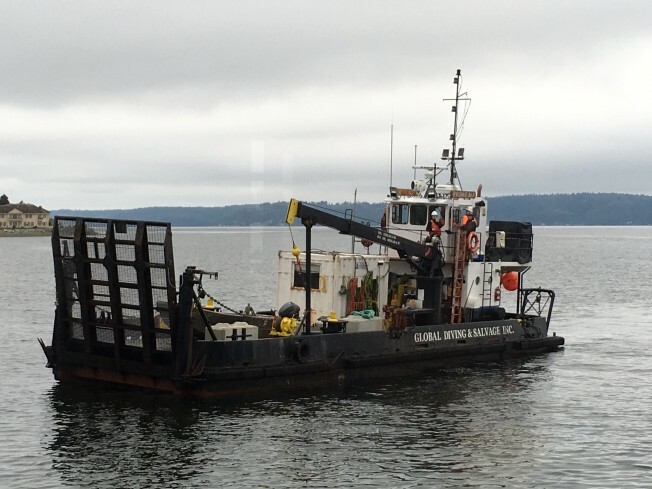 This is actually the second whale removal Global has performed in the area in recent years, having towed a fin whale carcass stranded in Burien in 2013. While that carcass was taken to a remote beach to decompose, this whale needed to be towed and sunk.